Not sure what's happening with me on this one, but it seems like the more I listen to it, the better Crash gets. Crash stated simply is one of their best CDs to date. It's a rare day indeed that I get a CD from an artist that I can truthfully say does not have a bad track in the bunch. I'm more than happy to announce that's exactly what I must say about this one. There simply is NOT a bad one in the bunch. No fillers here at all. Crash is a nicely varied, mix of 12 tracks that are very well written and brilliantly performed songs by these clearly gifted musicians. Most of the songs display a lot of the kind emotion that makes for a really great listen. Seemingly drawing from what I can only imagine are their own personal experiences. At different points touching on the most real emotions of love, and the pain of failed relationships can certainly be heard. I give Crash my highest recommendation. It just plain belongs in any serious music collectors collection regardless of genre preference. My Bonus Pick, and the one that got Sore [...as in "Stuck On REpeat"] is track 1 - So Much To Say. Wow! Dave Matthews Band originally released Crash on April 30, 1996 on the RCA Records label. 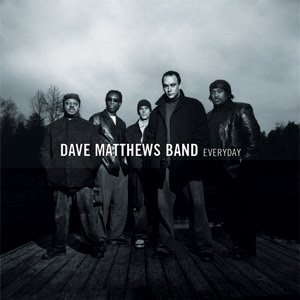 Dave Matthews Band: David Matthews (vocals, acoustic guitar); Boyd Tinsley (violin, electric violin); Leroi Moore (alto, soprano, tenor & baritone saxophones, flute, whistle); Stefan Lessard (bass, tac piano); Carter Beauford (drums, percussion, background vocals). Additional personnel: Tim Reynolds (acoustic & electric guitars). Recorded at Bearsville Studios, Bearsville, New York and Green Street Recording Studios, New York, New York. Anthology is the latest Rock CD put out by the extremely talented Duane Allman who once again has delivered a brilliant collection of tracks. I'm confident Duane Allman fans, and Rock fans alike will be pleased with this one. This one will grab your attention right from the very first note with B.B. King Medley: Hour Glass: Sweet Little Angel / It's My Own Fault / How Blue Can You Get and doesn't let go until the very last note of the very last song Little Martha, which is another great track by the way. One of the nicer things about a CD like this is when the talent is this rich even if Rock isn't your favorite genre you still can't help but appreciate the greatness of the artist. If you're even mildly into Rock music you'll enjoy this CD. Overall Anthology is an outstanding release. I give it my double thumbs up. You will not be disappointed with one single track. My Bonus Pick, and the one that got Sore [...as in "Stuck On REpeat"] is track 1 - B.B. King Medley: Hour Glass: Sweet Little Angel / It's My Own Fault / How Blue Can You Get. Wow! 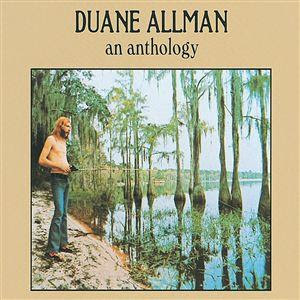 Duane Allman originally released Anthology on October 25, 1990 on the Polydor label. Not sure what's happening with me on this one, but it seems like the more I listen to it, the better Faceless gets. Faceless simply stated is one of their best CDs to date. It's a rare day indeed that I get a CD from an artist that I can truthfully say does not have a bad track in the bunch. I'm more than happy to announce that's exactly what I must say about this one. There simply isn't a bad one in the bunch. No fillers here at all, with each song standing tall on it's own. Faceless has a nicely varied, mix of 12 tracks that are very well written and brilliantly performed songs by these clearly outstanding musicians. With many of the songs displaying a lot of the kind emotion that makes for a really great listen. Clearly drawing from what I can only imagine are their own real life experiences. At different points touching on the most real emotions of love, and the pain of failed relationships can certainly be heard. Overall Faceless is an outstanding release. Quite possibly Godsmack's best to date. Really spectacular from beginning to end. If you're even mildly into Rock music you'll enjoy this album. While the entire album is really very good the truly standout tunes are track 4 - Make Me Believe, track 8 - Releasing The Demons, and track 12 - Serenity. My Bonus Pick, and the one that got Sore [...as in "Stuck On REpeat"] is track 1 - Straight Out Of Line. This is a great track! Godsmack originally released Faceless on April 8, 2003 on the Universal Records label. Godsmack: Tony Rombola (vocals, guitar); Robbie Merrill (vocals, bass); Sully Erna (vocals); Shannon Larkin (drums, percussion). Not sure what's happening with me on this one, but it seems like the more I listen to it, the better Amigos gets. Amigos stated simply is one of Santana's best CDs to date. It's a rare day indeed that I get a CD from an artist that I can truthfully say does not have a bad track in the bunch. I'm more than happy to announce that's exactly what I must say about this one. There simply isn't a bad one in the bunch. No fillers here at all. Amigos is a nicely varied, mix of 7 tracks that are very well written songs by this clearly gifted artist. With many of the songs displaying a lot of the kind emotion that makes for a really great listen. Seemingly drawing from what I can only imagine are him own personal experiences. At different points touching on the most real emotions like love, and the pain of failed relationships can certainly be heard. I'm of the opinion that Amigos is certainly Santana's best work in a few years. A totally enjoyable CD and an outstanding release. What I call must have music. I give it two thumbs up because it's a collection that even the casual Rock fan can appreciate and enjoy. My Bonus Pick, and the one that got Sore [...as in "Stuck On REpeat"] is track 1 - Dance Sister Dance. Good stuff! Santana originally released Amigos on January 1, 2002 on the Rock label. 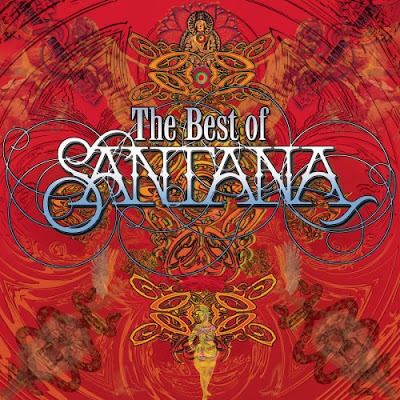 Santana: Devadip Carlos Santana (guitar, percussion, background vocals); Greg Walker (vocals); Tom Coster (keyboards); David Brown (bass); Ndugu Leon Chandler, Armando Peraza (background vocals). Additional personnel: Maxine Willard Walters, Julia Tillman Walters, Ivory Stone (background vocals). Recorded at Wally Heider Recording Studios, San Francisco, California. The exceptionally talented Rock artist Santana has released him CD entitled Moonflower. I am very confident and happy to announce that I believe Santana fans, and Rock fans alike will be pleased with this one. With the release of Moonflower Santana's artistic excellence is on full display as Santana has once again delivered a brilliant collection of tracks that could very well be him best work to date. Santana is one of those musicians that has the ability to just win you over with him talent. The kind of artist it's really a treat to be able to listen to. Overall Moonflower is a solid release. Quite possibly Santana's best to date. Really sensational from beginning to end. If you're even mildly into Rock music you'll enjoy this CD. While the entire CD is really very good the truly standout tunes are track 1 - Dawn / Go Within, track 4 - El Morocco, and track 9 - She's Not There. My Bonus Pick, and the one that got Sore [...as in "Stuck On REpeat"] is track 8 - Black Magic Woman / Gypsy Queen. Good stuff! Santana originally released Moonflower on September 30, 2003 on the Legacy Recordings label. 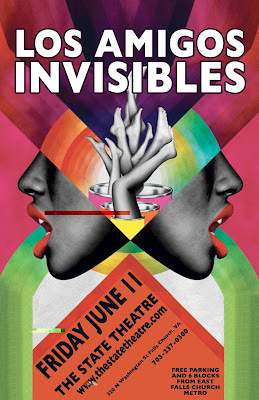 Santana: Carlos Santana (guitar, congas, timbales, percussion, background vocals); Greg Walker (vocals); Tom Coster (Fender Rhodes piano, Hammond B-3 organ, ARP synthesizer, Mini-Moog synthesizer, vibraphone, marimba, background vocals); Pablo Tellez, David Margen (bass); Graham Lear (drums, percussion); Raul Rekow (bongos, congas, surdo, percussion, cowbell, background vocals); Jose "Chepito" Areas (congas, timbales, bell tree); Pete Escovedo (timbales, guiro, maracas). Producers: Carlos Santana, Tom Coster, David Rubinson, Glen Kolotkin. Recorded at CBS Studios, San Francisco, California and live at Hammersmith-Odeon, London, England between 1976 & 1977. Originally released on Columbia (34915). Includes liner notes by Hal Miller.